This potting shed serves the dual purpose of (1) providing a work/storage area for potting plants and (2) harvesting rainwater. 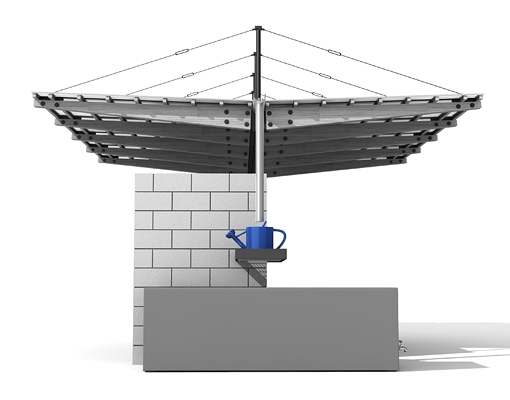 A suspended corrugated metal roof slopes to a centrally located gutter that collects rainwater and channels it to a watering can supported by a perforated metal shelf. Water that overflows the watering can is collected in a steel cistern --- complete with hosebib --- located below the shelf.